The period between 1100 and 1500 was a period in which the city-states of Northern Italy made a big transition. They developed from marginal cities till centers of long distance trade. Mainly because of this increase in long distance trading did these cities made a big economic progression. Cities like Venice, Genua and Florance managed to conquer a big part of this international trade in the Mediterranean area. The biggest increase in trade was with the old Byzantine Empire and the Levant. I did focus on two city-states, namely Venice and Genua, in this essay. This is because they were the biggest competitors of each other in the long distance trade and also the biggest cities in the region. However, the trade policies of these two cities differed from each other. In this essay I tried to demonstrate to what extent these different trade policies and financial innovations in this period did effect the economic development in these city-states. The financial innovations that I tried to investigate the effects of are the emergence and development of money of account, double-entry bookkeeping and the bill of exchange. I will elaborate on these innovations later on. In the first part of the essay did I make a comparison between the trade policies of the city-states Venice and Genua. I primary focused on the biggest contradictions between the two. 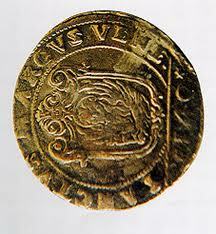 The biggest difference was that the Venetian government was more deeply involved in the long distance trading. The government determined which kind of vessel sailed to which port and what kind of cargo it carried. The ships with the highest maneuverability carried the most valuable cargo. It was also available in Venice to lease ships from the government for one journey. This made it possible for more people to invest in long distance trade, since the start-up cost were lower than in other North-Italian cities. Another difference is that Venetian traders sailed in convoys to their destination. This was safer and cheaper because the security cost were lower. Genuese traders, on the other hand, did not sail in convoys. That made the risk for Genuese traders higher. Because of the high risk of the investments in long distance trading tried traders in Genua to spread their risk. They did this by forming Commenda’s. This where agreements between different partners to spread the economic risks of long distance trading. I concluded in this part of the essay that the Venetian policy contributed to more long-term economic growth compared with the Genuese policy. I also investigated the influence of economic innovations on the long-term economic growth in these two city-states. The development of money of account, double-entry bookkeeping and the bill of exchange were very important in de growth of the long distance trade (and thereby the economic growth of the city-states). These innovations have made it possible for trading companies, in Venice and Genua, to grow from small family-based companies to companies with establishments in different countries. Money of account made it possible to make fast decision about investments and to transfer fund in a safe manner. The bill of exchange made it possible to trade over long distances without moving large quantities of bullion. Security costs dropped and there was more money available for investments. This is a condition for economic growth. What was maybe more important was the discovery of double entry bookkeeping. This kind of bookkeeping made it clear what the stocks and the economic situation of the company was at any given time. Thereby made double-entry bookkeeping it possible for companies to grow and make more revenue. When looking back to the main question (To what extent did financial innovations and the trade policies of Venice and Genua effect their economic development) did I conclude that the economic growth in these states was not possible without these economic innovations. They made an important, if not indispensable, contribution to the formation of an environment in which long distance trading companies could develop. In the comparison between the trading policies of Venice and Genua did I conclude that Venice created the most favorable conditions for long distance trading. The government controlled the trading sector of the economy and provided better conditions than Genua did. Aho, James, ‘’Rhetoric and the invention of double- entry bookkeeping,’’ Rhetorica 3, no 1 (1985) 21-43. Bec, Christiaan, Geschiedenis van Venetie. Den Bosch: Voltaire, 2001. Doosselaere, Quentin, Commercial agreements and social dynamics in medieval Genoa. Cambridge: Cambridge University Press, 2009. Greif, Avner, ‘’On the political foundations of the late medieval commercial revolution: Genoa during the twelfth and thirteenth centuries,’’ The journal of economic history 54, no 2 (1994) 271-287. Hoover, Calvin, ‘’The sea loan in Genoa in the twelfth century,’’ The quarerly journal of economics 40, no 3 (1926) 495-529. Mills, Geofrey, ‘’Early accounting in Northen Italy: The role of commercial development and the printing press in the expansion of double-entry from Genoa, Florance and Venice,’’ The accounting of Historians Journal 21, no 1 (1994) 81-94. Kedar, Benjamin, Merchants in crisis: Genoese and Venetian man of affairs and the fourteenth-century depression. New Haven: Yale University Press, 1976. Kirk, Thomas, Genoa and the sea: policy and power in an early modern maritime republic 1559-1684. Baltimore: Johns Hopkins University Press, 2005. Lane, Frederic, ‘’Venetian merchant galleys: 1300-1334: private and communal operation,’’ Speculum 38, no 2 (1963) 179-205. Munro, John, ‘’The medieval origins of the financial revolution: Ursury, rentes and negotiability,’’ The international history review25, no 3 (2003) 505-562. Lane, Frederic, Venice: A maritime republic. Baltimore: Johns Hopkins University Press, 1973. Lane, F. en R. Mueller, Money and banking in medieval and Renaissance Venice. Baltimore: John Hopkins University Press, 1985. Mueller, R, The Venetian money market: banks, panics and the public debt 1200-1500. Baltimore: John Hopkins University Press, 1997. Ronse, Jan, Wisselbrief en Orderbriefje. Gent: Story-Scientia, 1972.